Recently, I’ve been struggling to find balance. Maybe the idea that balance is something we can ever truly find is just an illusion. It seems to me that wherever we’re looking for balance – whether in work versus regular life, between different hobbies, in time spent with friends or alone – there’s always going to be a skew one way or another. So perhaps what we’re actually searching for is our own perfect imbalance – the kind of wavy, sometimes inconsistent juggling of competing elements that somehow works for us. Since I quit my PhD programme two years and, shortly thereafter, moved to the US, I’ve been in a constant battle to work out what it is that I want to do. For the first time in my life, my time is truly my own. But having that kind of unrestricted freedom is a burden in itself. I find my self constantly worrying about what I’m doing, whether it’s the right thing, whether I’m doing enough of it. Finding a way to balance (or imbalance) the various jobs, hobbies, and relationships that I want to explore and enjoy is tough! What this past couple of years has given me is the ability to acknowledge the boundaries that I’d unconsciously erected for myself – the various shoulds, shouldnts, and cants that have dictated my choices for as long as I can remember. Boundaries are a gift in that they give us the focus necessary to get things done and meet necessary goals. But they can also produce an inflexibility and lack of imagination that limits what we allow ourselves to achieve. 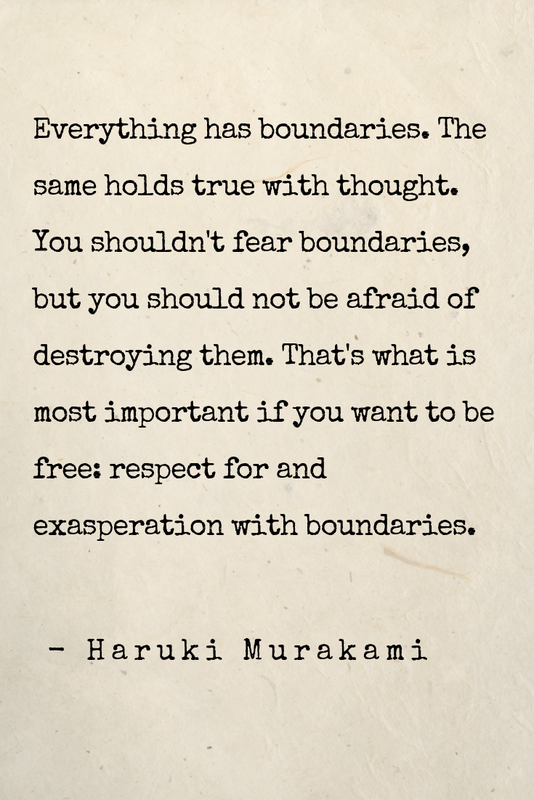 Not everyone will have the benefit of unrestricted exploration of these boundaries. Limits created by free time, the need to make money, and family obligations are just a few of the things that distract us. However, if we learn to work with what we have, we can make boundaries – and imbalance – our friend. Although I’m very sure that I’ll never be truly rid of the anxiety about what I’m not doing and whether I actually have that perfect imbalance I’m seeking, I’m definitely learning to embrace the exploration!